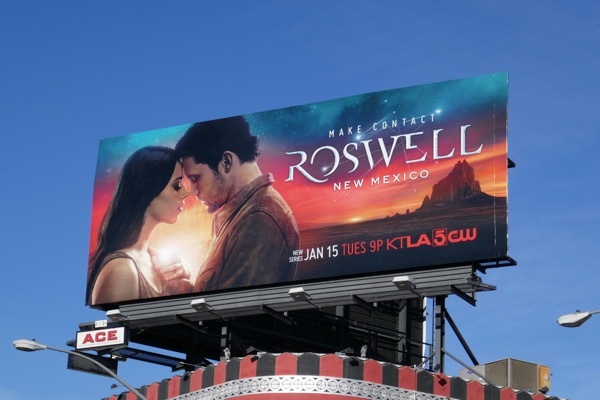 This year one of the first television reboots out of the gate is the new adaptation of Melinda Metz's Roswell High book series, Roswell, New Mexico. 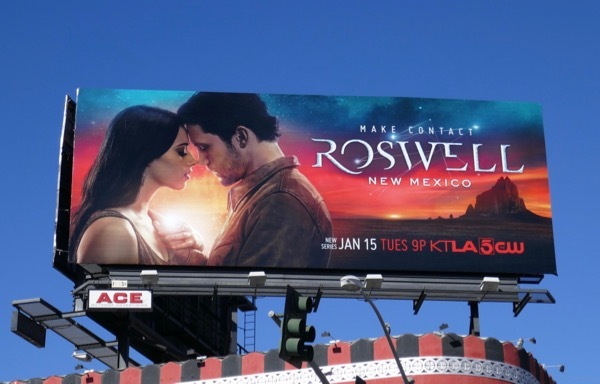 Unlike the Roswell sci-fi series that ran for three season from 1999 to 2002, this version on The CW leaps ahead ten years after high school and finds Liz Ortecho (played by Jeanine Mason) returning to her hometown to help her ailing father where she reconnects with her old high school crush 'Max' (Nathan Parsons), now a deputy in the sheriff's department (and also an alien-in-hiding along with his siblings). 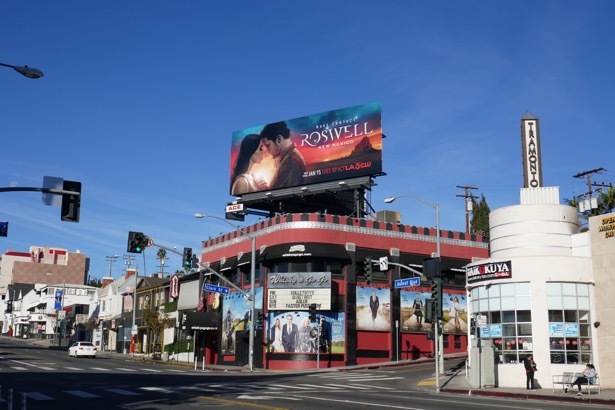 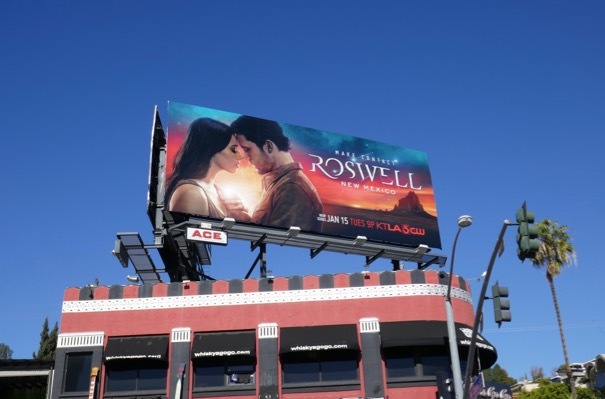 This series launch billboard which hints at the romance in the new drama was snapped above the Sunset Strip's Whisky A Go-Go club on December 25, 2018. 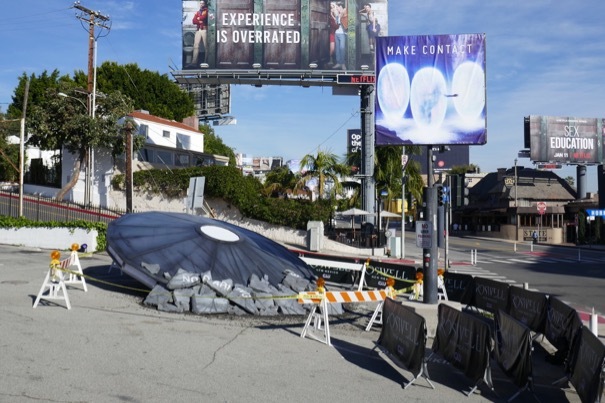 To raise awareness for the new show and help it stand out along the Sunset Strip you could also see a crashed flying saucer along the busy L.A. commuter artery photographed on January 3, 2019, and built by Trex Media. 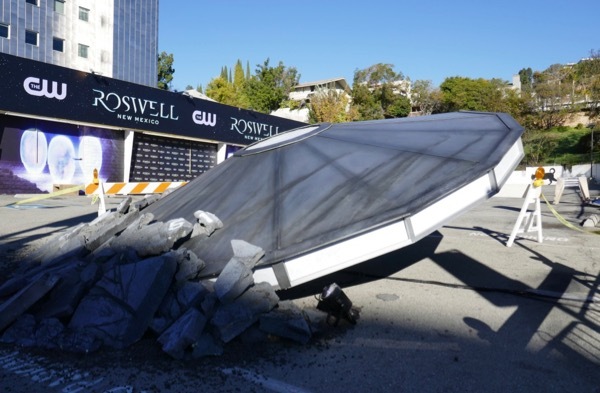 For a similar crash landing site gimmick you should also check out this crashed UFO at The Grove for The X-Files revival in January 2016. 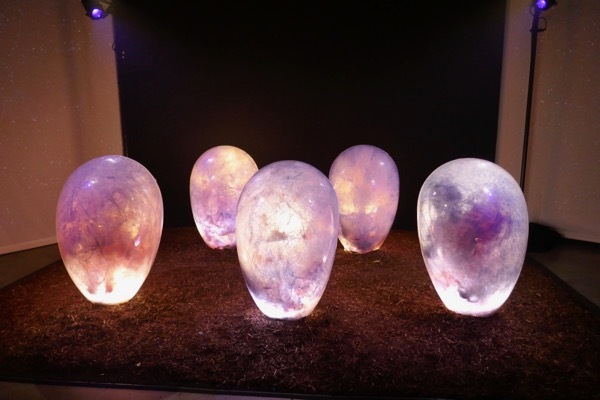 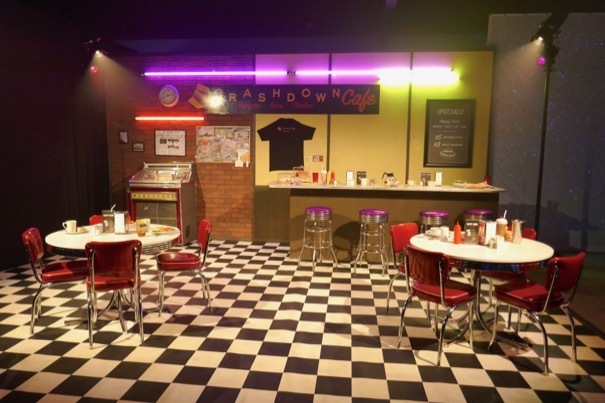 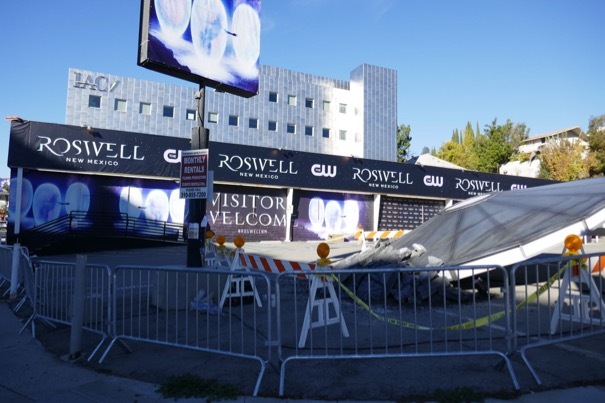 In addition the old Tower Records store location was converted into an interactive and immersive Roswell, New Mexico experience, with lots of selfie opportunities inside with replica cafe sets and alien pods when Daily Billboard ventured inside on January 9, 2019. 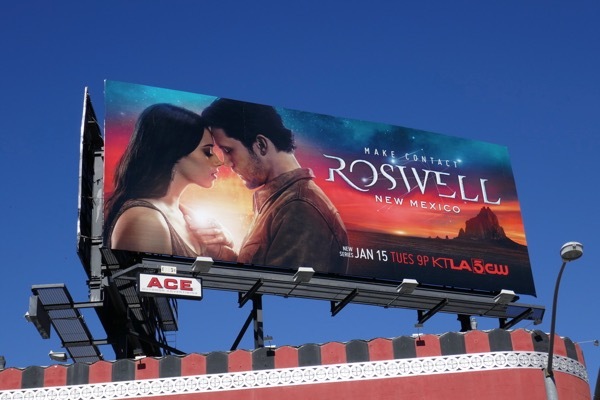 This spaceship may have crashed along the Sunset Strip, but let's see if this new Roswell, New Mexico series can take flight this winter TV season.